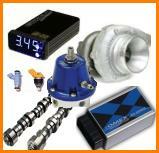 Single car power runs are available and include RPM, BHP, Torque, Boost and AFR logging. Power runs consist of 3x runs and include power graph, data print out and full run information. Video and Photo available upon request. When it comes to trackdays and racing in general, you need the perfect package. Well here at ATSPEED we can fully prepare your car for the track. This includes everything from suspension setups, engine modifications and tuning, installation or even complete packages to suit all budgets and forms of motorsport. With the era of fuel injection, the easiest way to get more power from your pride and joy is by having it remapped. By use of a fully programable management system we can make the most from any modifications made to the engine. We can offer a full mapping service for most types of aftermarket system on road and racing cars, please check our "Fuel Injection Mapping" page for more information. No matter what form of carburettor system your vehicle runs, its not a problem for us. At ATSPEED we can take on almost any job, including multiple carb set ups. 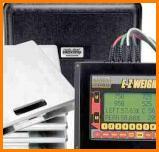 We are the largest independant Weber stockist in the UK, and Webcon recommended calibration engineers. We are also recognised specialists in tuning Edelbrock and Holley carburettors. SU needles are bespoke made to your car. 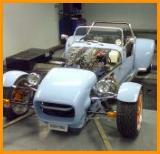 We also tune bike carbs for kit cars. We are able to install omex engine management systems on most compatible engines, road/race, to extremely high standards, or even convert older carburettor cars to run on modern fuel injection. For the classic car market we can even hide the installation, so it looks as original. we have options available for budget wiring harnesses, to full WRC specification to suit all budgets and demands of the customer. Here at Atspeed we have proven methods of leak detection, no matter whether it is Exhaust or Induction. With our specialist tools we shall be able to find the exact location, and size of the leak. The Perfect tool for finding Boost leaks and an excellent diagnostic aid!! We are proud to announce we are certified official ASNU agents. If you have issues with your injectors, bring them to us and we shall ultrasonically clean them, flow test and service them accordingly. No matter what car you drive we can offer a full service package for it. The car is fully checked over by our experienced staff and any parts that need changing will be replaced. All parts used are to the highest of quality. MOTs can also be arranged. FREE local collection and delivery. Prices start from £90 Base service rate + hourly rate for any additional/specialist work + Parts. We offer product sales on many of the worlds leading automotive brands. Our guarantee is we will only sell products that we would be prepared to use on our own cars. Products vary from engine management systems and turbochargers to forged engine internals and components. Please visit our online shop. Here at Atspeed we specialise in Turbo Conversions for road or track use. We are particularly known for our work on Peugeot 106 and Citroen Saxo, and are responsible for the UKs fastest Peugeot 106. However we will undertake work on any car. Please contact us via email for the possibilities in this area of our expertise. Typically conversions start at around £6000 onwards. We can offer full servicing and maintenance on competition vehicles from all forms of motorsport. We are able to keep the car reliably working at its peak performance level.. "the race is won in the workshop, not the race track." We offer Rolling Road days or Club Shootouts for owners clubs and car enthusiasts. FREE BBQ, and any profit made on cold drinks goes to charities. Visit the "Club Dyno Day Page"
Its not uncommon for classic cars to suffer with dirt or residue build up affecting the performance or appearance of the carburettor. We are able to strip and ultrasonically clean carburettor bodies, butterflies and jets to an almost new appearance. Ultrasonic cleaning will also clean the areas that carb cleaner or brushing cant get to. Note: this service cannot reverse the effect of corrosion. As time is going on carburettor spares and supplies are more commonly becoming obsolete and many cars are unable to be kept on the road, to prevent this we offer carburettor conversions to convert to readily available carburettors and can calibrate the carburettor to your engine, often improving economy and performance. Conversions start from around £600 or DIY kits on our online shop start at around £200. We are also able to apply our expertise to classic cars from all eras. Tuning these rare and delicate cars is no problem for us.